The Water Funder Initiative has released Toward Water Sustainability: A Blueprint for Philanthropy (the “Blueprint”) to guide and inspire efforts to make water systems more balanced, resilient, and sustainable. 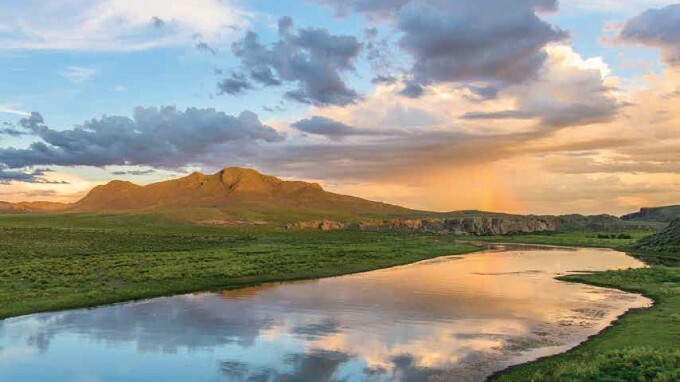 The Blueprint describes the need and opportunity to address water issues and presents six priority strategies that emerged from the Water Funder Initiative’s consultation with more than 140 experts and stakeholders throughout the American West. The S. D. Bechtel, Jr. Foundation supports and participates in the Water Funder Initiative in order to advance the priority strategies and increase funding for water solutions — in the American West and beyond. Water is the essence of life and vital to the well-being of every person, economy, and ecosystem on the planet. But around the globe and here in the United States, water challenges are mounting as climate change, population growth, and other drivers of water stress increase. The American West, a complex, diverse landscape that ranges from deserts to rainforests, faces inherent water challenges due to its aridity, highly variable precipitation, and growing population. Across the region, policymakers, water managers, industry executives, NGO leaders, and others are seeking new ways to sustainably meet the water needs of cities, farms, energy providers, and ecosystems. Recognizing the urgent need to solve water problems at scale, a group of foundations launched the Water Funder Initiative. This collaboration focuses on identifying and activating promising water solutions through strategic philanthropic investments in the United States, starting in the American West, where scarcity and reliability of clean water are urgent issues. Participants include the S. D. Bechtel, Jr. Foundation, the Energy Foundation, The William and Flora Hewlett Foundation, The Cynthia and George Mitchell Foundation, The David and Lucile Packard Foundation, the Pisces Foundation, The Rockefeller Foundation, the Walton Family Foundation, and the Water Foundation. To realize this vision, the initiative focuses on two goals. Bring basins into balance for people and nature: Using existing supplies more carefully so that, over the long term, these supplies support vibrant ecosystems, communities, and economies. Strengthen resilience of water systems in a 21st century climate: Helping water management systems become flexible and resilient enough to cope with times of water stress and mitigate the risks to water users, especially as the planet warms and climate change affects the hydrological cycle. The Water Funder Initiative’s vision, goals, and priority strategies for philanthropic investment are further described in the Blueprint, which incorporates the most promising ideas from a broad spectrum of experts, policymakers, funders, scientists, farmers, attorneys, water utility executives, tribal leaders, and others across the American West.